I haven’t seen this Italian dessert on a menu for a long time or for that matter made it myself for years. It was one of our go-to dinner party recipes back in the 80s. Maybe it’s time it made a comeback. 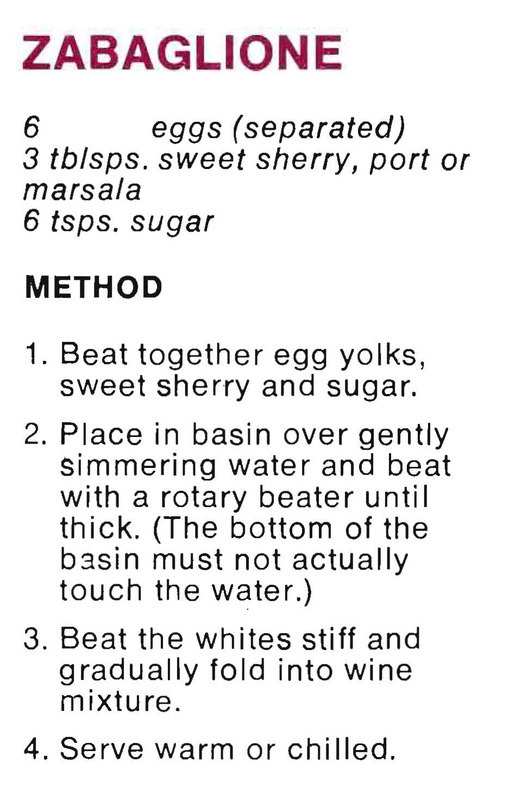 This entry was posted in All Recipes, Desserts and tagged 1980s, eggs, marsala, sugar, zabaglione by bebsrecipes. Bookmark the permalink.